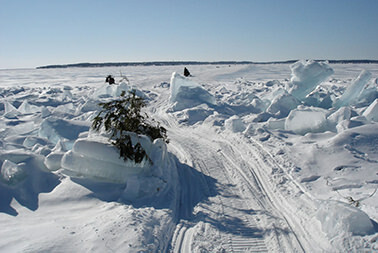 The City of St. Ignace holds a tremendous amount of history and culture, from the Huron and Ojibway Indians who lived along the shores to the modern-day residents who cross the “ice-bridge” with snowmobiles to Mackinac Island. 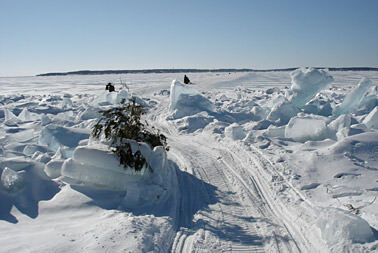 Why do area residents bring their Christmas trees to a small park along the beach? You’ll be amazed when you learn the answer and see where the trees go each January. 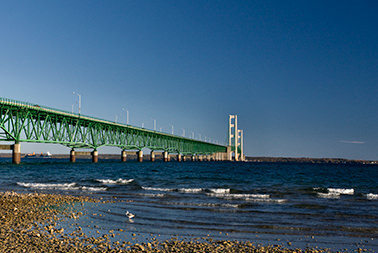 The 2nd oldest city in Michigan (#1 is just 50 miles to the north), St. Ignace has an unusual bond between past and present that can claim 2700 residents one day, and 75,000 visitors the next! Here is where Father Jacques Marquette came ashore by canoe in the mid-1600s. Let us take you to his burial place, where a mystery exists that explains many Native American cultural rites. Walk along a beach boardwalk where you can view Mackinac Island, visit the Ojibway Museum of Culture*, and hear the stories of those who lived in Huron “row houses,” fished, farmed, and hunted all in one spectacular location. Why did local native sons not live with their parents after their early teens? You’ll find out the answer, and you’ll see the artifacts that result from family life over 350 years ago. Have your picture taken next to one of the world’s longest suspension bridges, and learn a whole new language spoken by the “Yoopers” of today. 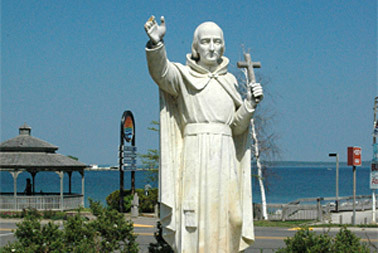 What is there to see in St. Ignace? Let us take you “behind the scenes” for a glimpse of the old and new you never knew existed!